At every party, there is always a ‘hot one in the room’. Let me guess. All the girls go for hottest guy and all the guys go for the hottest girl. So now, everyone is going after the same person, and no one else gets a look, which will leave most of the crowd unfulfilled. In this situation, one will be happy but most will not. So how about a different scenario. What if the majority of the crowd doesn’t go after the hottest one in the room, but rather engages with the next most attractive individual. 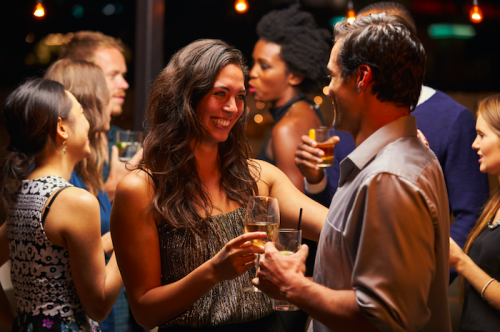 All of a sudden, there might be more conversations and connections happening, and the majority leave happy versus only a small few. The same goes for online dating. You are technically looking at people side by side so comparing is natural but again, if everyone goes for the hottest one, most people will miss out and this is typically when good people get overlooked. Has this ever happened to you?? If only they knew how amazing you were and go to know you. We might as well try something different right?? Maybe next time you jump online or go to a bar, be sure to consider the people just under your top pick, you might be pleasantly surprised.